Andis is considered to be one of the best trimmer manufacturers in today’s market and the Andis Professional 04603 Outliner II Personal Trimmer is just one of the reasons why. 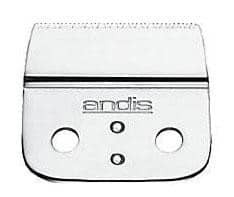 Often used by professional barbers and men hair stylists, the Andis Professional Clipper 04603 is well worth choice for anyone who wants that “professionally groomed look” without paying a professional. I myself have been a very satisfied user of this trimmer for many years now. During this period many beard trimmers have passed through my hands and some have ended up buried, but this amazing device has not failed me even once. There are just couple of minor cons which we will discuss in this review. Designed for all around outlining and fading. Close cutting carbon steel adjustable blades trims neck, beards, mustaches, and around the ears with ease. 8 foot cord allows you to trim where you need to with ese. Combs for more customized trimmer are sold separately. Equipped with close cutting blades to trim necks, mustaches, and around the ears with ease. Contoured housing fits your hand easier making trimming more comfortable handling. It is most suitable for lining and fading. Using this trimmer to trim beard and mustache, cleaning up the neck area and around the ears, straightening sideburns and for design work will give you good results. While not designed for these specific users, men have also gotten good results using this trimmer in the place of a shaver and to shave their head as well as for manscaping. You can trim real close to the skin and clean up those areas that hair clippers simply can’t reach. This trimmer does not come with combs, which can make it less useful for people who want to use it trimming their beards, but as an optional extra you can buy a set of 4 snap on combs. As mentioned above, Outliner II does not come with any hair length serttings combs and you have to buy them separately. 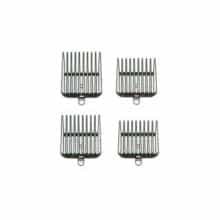 These combs are available in sizes 1/16”, 1/8”, ¼” and 3/8” which have been sufficient for my needs as and when I have had the need to use this trimmer. But I always have a couple of other beard trimmers for even more precise trimming. I like the fact that the combs have a metal snap on clip so there is no chance of them breaking. The ones I have are of plastic and used them for almost 5 years without any problem. The Outlander II uses specially hardened carbon steel blades that are designed to stay sharp for the life of the trimmer. However, there are replacement blades that can be purchased for this shaver should you find the blades go dull. Although I have fairly coarse hair and even after so many years, the blades are in fine condition and never felt any hair pulling on any part of my face or body. Having said that, it is advisable to oil these machines regularly and maintain them clean after each use. There are lot of satisfied users who regularly shave their heads with it and some even use it for shaving. I don´t think it will give you a real close shave like a razor but again it depends on the thickness of your hair. If you find that you need a close shave, the blades can be adjusted just by opening couple of screws which is a very easy process. If you need help, almost all barbers use this device and they can help you out. You will feel the power of the machine on each use as it runs on a high speed. Its motor is powerful. With so much power one would expect it to be somewhat noisy, quite the contrary, you will find it fairly quiet. 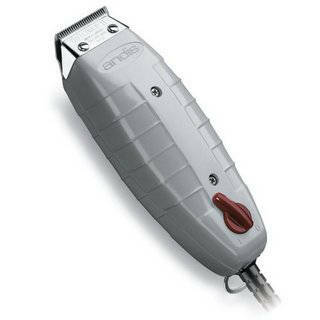 The Andis Professional Outlander II is a corded trimmer. The cord is 8 feet long which allows you and the trimmer to move freely to trim everything just the way you would like. This is only to be expected as it is used professionally too by barbers who have to move around the cutting chair. Contoured housing, which makes this trimmer fit nicely in your hand and gives you a more comfortable hold during those longer trimming sessions. 120 Volts. This is important to note if you are planning on doing any travelling in countries where 240 Volts are the norm. If so, you may want to purchase an adapter that will allow you to plug into the 240 volt power supplies. For almost 80 years Andis has been making men’s grooming products both for professional and personal use and if reviews and ratings of the Andis Professional Outline II is anything to go by it is easy to see why this company has been in business so long. Here is what customers have to say about the Outliner II. The vast majority of users state that the Outliner II is a well designed and made trimmer. Many of the users state that they have actually owned this trimmer for 12 and even 15 years or more. The fact that users have owned this trimmer for so long and continue to find it highly functional speaks a great deal about the quality of the Outliner II. Users find the cut quality of the Outliner II exceptionally good. They use this trimmer for fading, outlining around the ears, trimming their mustaches, beards, sideburns and goatees for keeping the bald look and for manscaping all with great results. Customers find that this trimmer works well for dry shaving, and find it quiet to use. They state the adjustable blades are sharp and easy to replace. In fact, several of the users state that this trimmer shaves almost as close a razor. Customers also state that this trimmer gives them a professional trim like you would get from a barber. Overall, users find the Outliner II to be highly functional. They state this trimmer is loaded with power, and the contoured handle makes it easy to grip, though they do state that the handle can be somewhat slippery. A few users also state that they wish this trimmer had more attachment combs, and they also feel a storage bag would have been a nice added touch. Customers also state that cord is reasonably long, but do state that the cord does have tendency to twist. They also say that this trimmer can get hot after a longer use. The user reviews are extremely positive and it is clear that users find many benefits and have only a few complaints regarding this trimmer. The dimensions for this trimmer are 8” x 2.8” x 5.2 inches and it weighs approximately one pound. Unfortunately, this trimmer does not come with either a travel or a storage case, so if you are considering taking this trimmer on the road, you may want to invest in a travel case to keep the trimmer from being damaged when packed. This clipper by Andis is a mid-price range trimmer. While there are other trimmers for sale that cost much less as well as much more, it appears that this trimmer gives you great value for the price. It comes with a one year warranty, which is good but not great considering the price of this trimmer. I would have expected at least 2 years, considering the high quality of the trimmer the manufacturers would not have lost out giving a longer warranty period. If you are looking for a trimmer that does a fine job of fading and outlining, then this may be the right trimmer for you. However, you do need to keep in mind that this trimmer is not designed to trim beards and mustaches of difference lengths, but it is rather designed to clean up the area at the back of the neck and around your beard, ears, mustache and manscaping. But you always have the option to buy a set of combs and if you do so, it will be good enough for beard trimming, too. Judging by the features and the various reviews written regarding the Andis Professional 04603 Outliner II Personal Trimmer, it appears that this trimmer meets many of the grooming needs of modern men, allowing them to have a more professional groomed look while saving them money paying the barber. While this trimmer may not be suited for everyone, it does seem to meet many of the needs of a large majority of users. As a regular user for many years, I would highly recommend it.